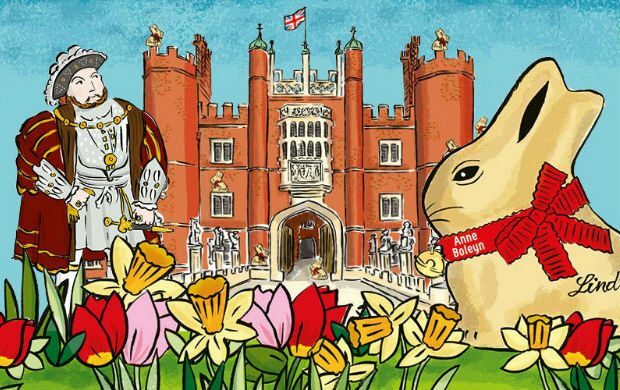 Join in the Lindt Gold Bunny Hunt at Kensington Palace this Easter. Take the family back in time and join in the hunt around the home and gardens of Queen Victoria and William III and Mary II. Pick up the Lindt Gold Bunny Hunt trail map when you arrive at palace. Follow the clues on the trail to find large golden bunny statues hidden around the palace and gardens, whilst discovering some of Kensington Palace’s famous characters from the past. Solve the challenges to win your delicious Lindt Gold Bunny chocolate reward! The hunt is designed for children aged 3-12 years old and their families. Allow 1 hour 30 mins to complete it with ease.